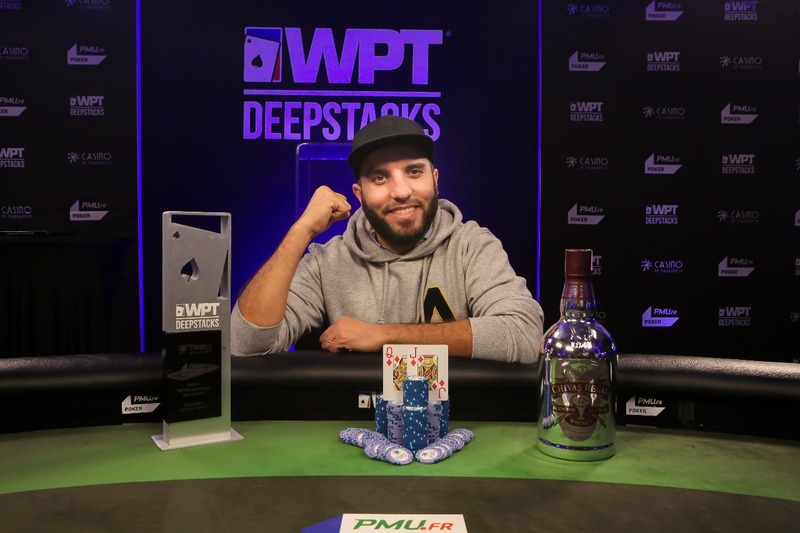 Smain Mamouni saw off a field of 433 players to take down the WPTDeepStacks Marrakech Main Event for a million Moroccan Dirham ($110,000) and become the fourth winner on the inaugural WPTDeepStacks Europe season. Don’t miss the WPTDeepStacks Brussels festival in November featuring a €1,200 Main Event. We’re the tour’s Official Travel Partner and can help you find great hotels near the tournament venue in Europe's capital. The Frenchman started out as the chip leader, but went through a topsy-turvy day before emerging to clinch the win shortly after 1am local time at the Casino de Marrakech. He had to beat a tough final table that included French pro Damien Lhommeau. The victory gave Mamouni his first major title and takes his live tournament winnings to nearly $350k. Speaking after his victory, Mamouni said he was feeling very proud of his play. "I didn't make a lot of mistakes. I lost a big pot with pocket Kings against pocket Aces, but I was not afraid of coming back in the tournament. I have a lot of experience, so when I was very short stacked I wasn't afraid.” Mamouni said that the atmosphere surrounding the Casino de Marrakech really added to his deep run. "When you play in Marrakech there's a lot of fun, it's not like other tournaments where nobody is talking with each other. In Marrakech it's something better, something good. I've played maybe 5-10 WPT tournaments, and obviously this was a really good one." Next up for WPTDeepstacks ! Don’t miss forthcoming WPTDeepstacks events in Europe. The WPTDeepStacks Brussels festival is in November and features a €1,200 Main Event at Grand Casino Brussels VIAGE in the heart of the European capital. The Main Event has three start flights with one re-entry per day. The exciting schedule also includes €360+€40 WPDTS Warm Up, €2,000+€200 High Roller, PLO Omaham 5 Turbo, NLH Turbo Survivor, Omaha Deepstack and Viage Poker Cup.